Whoa! Only one day after Video Rage‘s first Amazon review was uploaded, a second one popped up. Coincidence? Probably, but I’m not complaining. 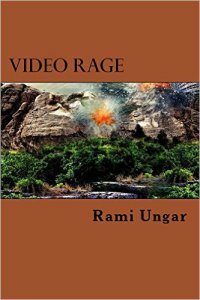 If you didn’t read yesterday’s post and you’re not sure what I’m talking about, Video Rage is the second novel in my Reborn City series, a science-fiction trilogy that follows the Hydras, a street gang whose leaders have amazing powers. When the source of those powers comes back to haunt the Hydras, what occurs will rock the very world to its knees. 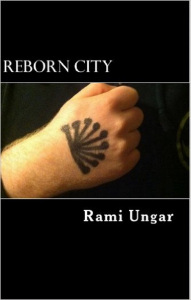 The first book, Reborn City, came out in November 2013, and currently has a 4.7/5 rating on Amazon. With this second review, Video Rage is now at a 4.5/5 rating, which makes me happy. I’m glad people are responding to it well. I’m glad the character development received praise. I feel that in a second book, it’s important not just to expand on the world of the characters, but also to offer some new challenges, both in the form of new adversaries or obstacles to the characters’ goals, and in the form of internal struggles. I’m glad that Michele didn’t find those internal struggles annoying or brought down the quality of the story. And the imaginative/unpredictable part mirrored what Ruth said yesterday in her review, which she titled Nice Twists Ahead. A good book should have some unpredictability in it (I just finished reading a book that was very unpredictable, and I plan to write a review of it after I’m done with this post), so it’s good to know I can deliver on that aspect. Over all, I’m glad that I’m getting such positive feedback on Video Rage. It pumps me up and makes me want to work harder on the final book in the series (still slogging through the current chapter, by the way, but if there’s time, I’ll try to get some more written tonight). It also makes me hope that more people will discover the series and want to read it. As I’ve said before, the world in general is starting to resemble the world of the story in certain ways, so I think people who come across the series will identify with the issues present in the books. Anyway, that’s all for now. I’ll post the links below again in case you want to check out either book and see if the series is something you’d like to read. And if you do end up reading one of the books, please let me know what you think. Positive or negative, I love feedback from readers, and I’d be happy to get yours. Until next post, my Followers of Fear. I know, right? Thanks for commenting.